Prozac (fluoxetine) is a type of antidepressant known as a selective serotonin reuptake inhibitor (SSRI) which is often used for the treatment of depression, bipolar disorder, and other mental illnesses. As useful as Prozac can be in treating these conditions, the drug may cause side effects ranging in severity from mild to life-threatening. Moreover, people who take Prozac may experience withdrawal symptoms if the treatment is not tapered off appropriately. In fact, a 2015 review of studies published in EBioMedicine concluded that the lifetime risk of an anxiety disorder co-occurring with bipolar disorder was 42.7 percent. Within the context of bipolar disorder, Prozac is considered the only antidepressant effective in treating bipolar depression but only when used in combination with the antipsychotic drug Zyprexa (olanzapine). The evidence of this was published in a 2013 review of studies which concluded that the combined use of Prozac and Zyprexa not only improved response rates compared to Zyprexa alone but also reduced the risk of relapse and remission. Similar results were seen when Prozac and Zyprexa were used to treat major depressive disorder (MDD). On the downside, the concomitant use of Prozac and Zyprexa also increases the risk of side effects. In 2014, both the U.S. Food and Drug Administration (FDA) and the U.K.-based National Institute for Health and Care Excellence (NICE) issued updated guidelines on the appropriate use of Prozac in treating bipolar depression in adults and children ages 10 to 17. The recommended dosage for adults is 20 milligrams (mg) of Prozac and 5 mg of Zyprexa, taken once daily. The recommended dosage for children is either 10 mg or 20 mg of Prozac and 2.5 mg of Zyprexa, taken once daily. The treatment should be started with the lower 10 mg dose and increased to 20 mg if there is no improvement in symptoms after a week. There is also a fixed-dose combination drug called Symbyax which combines Prozac and Zyprexa in a convenient capsule formulation. Approved for adults in 2009 and children in 2013, Symbyax is usually prescribed at a lower dose and gradually increased until the depression symptoms resolve. Ultimately, the aim of bipolar depression treatment is to alleviate symptoms at the lowest possible dose to reduce the risk of side effects. Side effects are not uncommon when taking Prozac. Some are mild and transient and will often resolve as your body gradually adapts to the medication. Call your doctor if any of these side effects persist or worsen. 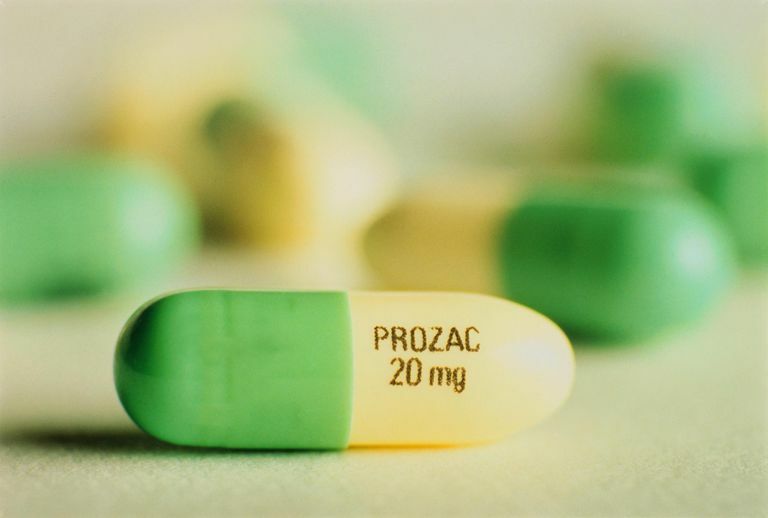 Some adverse reactions to Prozac may be serious and require emergency medical treatment. This is especially true if there are signs of a potentially life-threatening allergic response known as anaphylaxis. If left untreated, anaphylaxis can lead to shock, coma, respiratory or heart failure, and death. Prozac and other antidepressants may cause suicidal thoughts or actions in some children, teenagers, or young adults. This usually occurs within the first few months of starting treatment or when the dose is changed. Call your doctor immediately if you notice any sudden or severe changes in mood, behavior, thoughts, or feelings. A 2016 review of studies, which analyzed over 70 studies involving 18,526 people on antidepressants, concluded that the use of SSRI antidepressants in children and adolescents doubled the risk of suicide and aggressive behaviors. It is important to never stop taking Prozac without first speaking with your doctor and working out a dosage reduction plan. Stopping treatment abruptly can lead to a form of drug withdrawal known as SSRI discontinuation syndrome. While withdrawal is more common with longer-acting antidepressants like Paxil (paroxetine) or Zoloft (sertraline), it can happen with Prozac, especially if you have been on treatment for a long time. SSRI withdrawal is rarely dangerous, but it can be extremely uncomfortable and distressing. If the decision is made to stop Prozac, you would need to taper down slowly, allowing no less than two to six weeks between each dose reduction. Your doctor can provide specific instructions as well as the appropriate dosage pills. Fava, G.; Gatti, A.; Belaise, C. et al. Withdrawal Symptoms After Selective Serotonin Reuptake Inhibitor Discontinuation: A Systematic Review. Psychother Psychosom. 2015.84(2):72-81. Nabiva, B.; Mitchell, A.; and Nutt, D. A Lifetime Prevalence of Comorbidity Between Bipolar Affective Disorder and Anxiety Disorders: A Meta-analysis of 52 Interview-Based Studies of Psychiatric Population. EBioMedicine. 2015;2(10):1405-19. DOI: 10.1016/j.ebiom.2015.09.006. Sharma, T.; Guski, L.; Freund, N. et al. Suicidality and Aggression During Antidepressant Treatment: Systematic Review and Meta-Analyses Based on Clinical Study Reports. BMJ. 2016;352:i65. DOI: 10.1136/bmj.i65. Silva, M.; Zimmermann, I.; Galvao, T. et al. Olanzapine Plus Fluoxetine for Bipolar Disorder: A Systematic Review and Meta-Analysis.J Affect Disord. 2013;146:310-18. DOI: 10.1016/j.jad.2012.11.001.